Apple's iMovie is a program that allows you to create and edit digital movies or videos. To make a DVD out of video footage from iMovie, you need to open your iMovie project in another Mac program called iDVD. Once your iMovie file is in iDVD, you can customize your DVD menu(s) and burn your movie onto a DVD. Try these steps to create a DVD with iMovie. Open iMovie on your Mac. Connect a camcorder or other video recording device to your computer. If importing high-definition (HD) video, choose which resolution you want for the video (full-size or large) if asked. A window may automatically open, showing you thumbnail images of all the video clips on your recording device. To import all the videos, click the "Import All" button. For importing selected clips, move a slider control in the bottom left corner of the window from "Automatic" to "Manual." Uncheck the boxes by clips you do not want to import to iMovie. Click the "Import Checked" button. Choose where to save your video clips, such as on your computer's hard drive or an external drive. Give a name for your clips, which will be saved under a new or existing "Event." Decide if you want iMovie to import video with "Stabilization" to help improve any shaky video and/or identify people in your video. This can considerably lengthen the importing process and is an optional choice that can be done later. 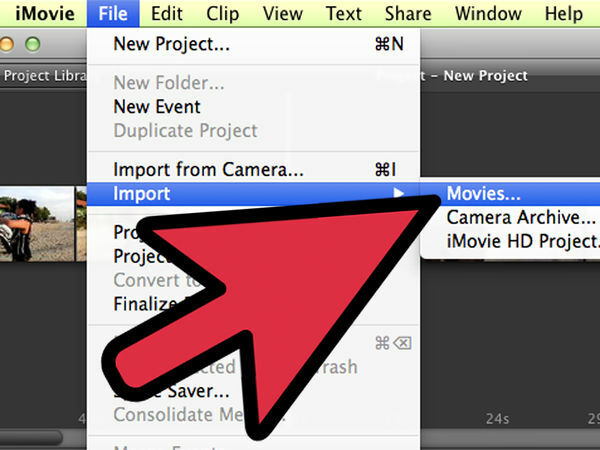 Click "Import" when ready to add your video clips to iMovie. 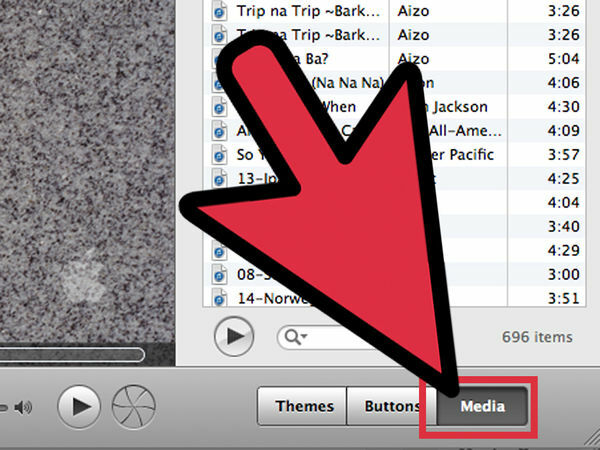 Find your imported video under its saved name in the "Event Library" in iMovie. Use features such as cutting portions of clips, adding transitions, and more to make your movie. Open an existing, finished iMovie project if applicable. 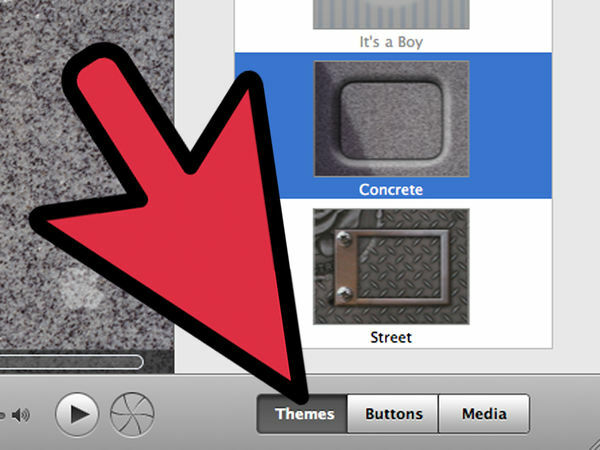 Click on the project in IMovie's "Project Library" in the program's left window pane. Choose "iDVD". 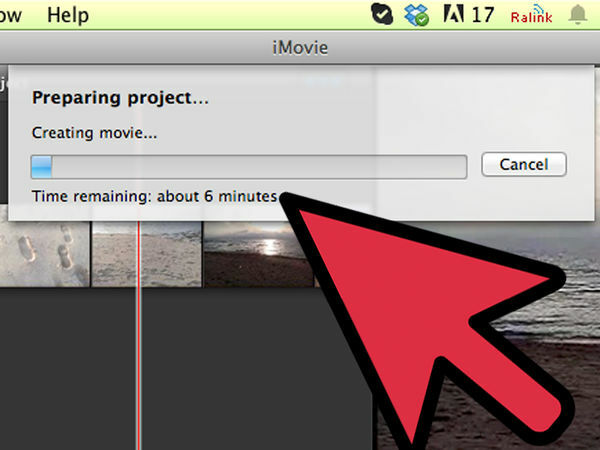 A progress bar may appear as iMovie prepares your project to open in iDVD. This process may take a few minutes. Type in a name for your iMovie DVD. This will allow you to customize the look of your DVD's menu(s). The themes can be seen in the right window pane in iDVD. Click "Media" in the bottom right area of the iDVD window. Click on the "Movies" or "Photos" tab. Choose a file categorized under the desired tab. 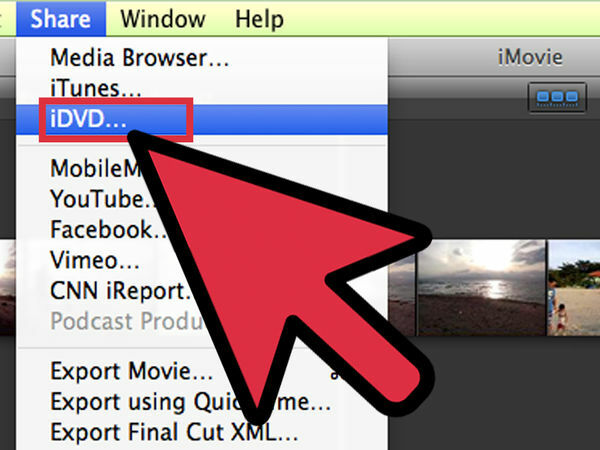 Try dragging and dropping your file onto your DVD movie, shown in iDVD's left window pane. If you add pictures to your DVD, they may be added as a slideshow. 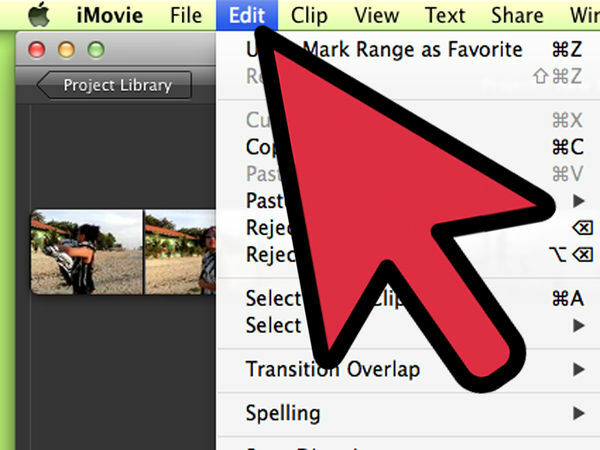 If you add another movie, it may be shown as a separate video from your initial iMovie project. Insert a blank DVD into your Mac's CD-ROM/DVD drive. 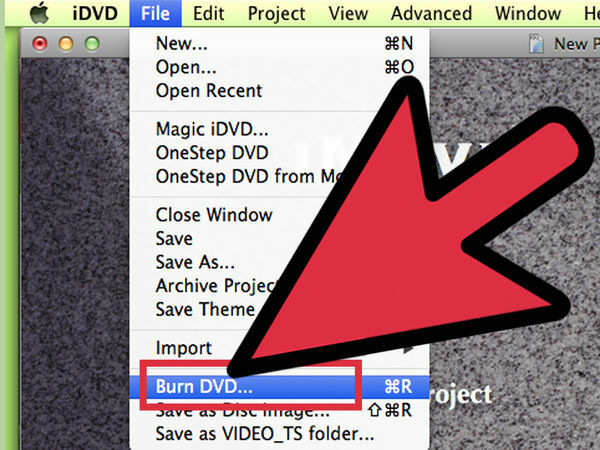 Click the "Burn" icon in iDVD to transfer your movie to the blank disc.